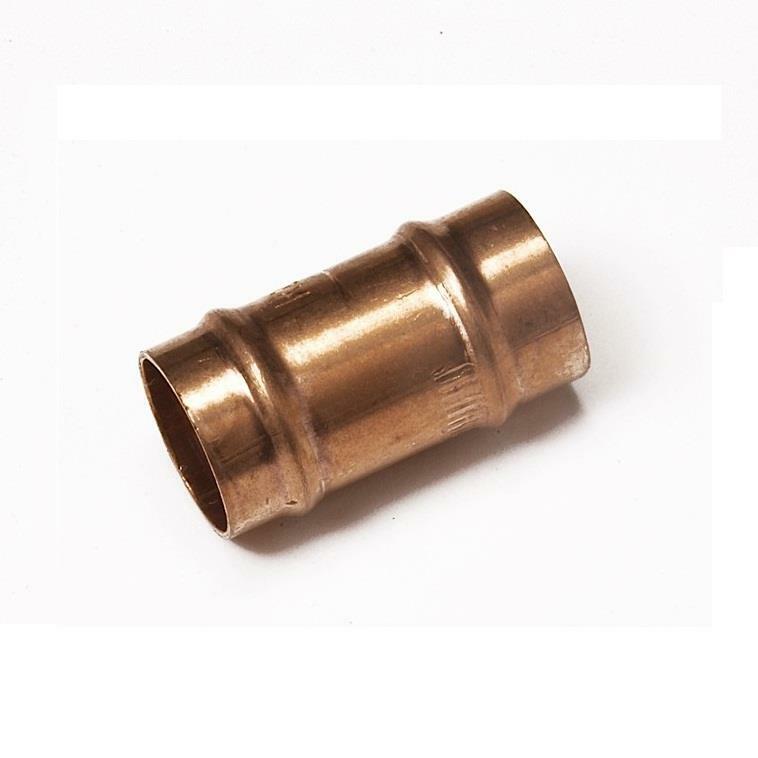 SR1 Solder Ring Straight Coupling - 15mm, Copper x Copper. Suitable for use in hot and cold water services for potable water, in small bore and mini bore central heating systems, in low pressure steam heating systems, pressurised unvented heating systems and in chilled water applications. Also suitable for sanitation services, compressed air lines, gas distribution systems and engineering pipeline services that convey liquids, oils, air and gases at temperatures up to 110°C. Fitting contains a precise amount of lead-free solder - when heat is applied, the solder is released into the gap between the tube and the fitting, creating a reliable joint without the need for end-feeding additional solder.